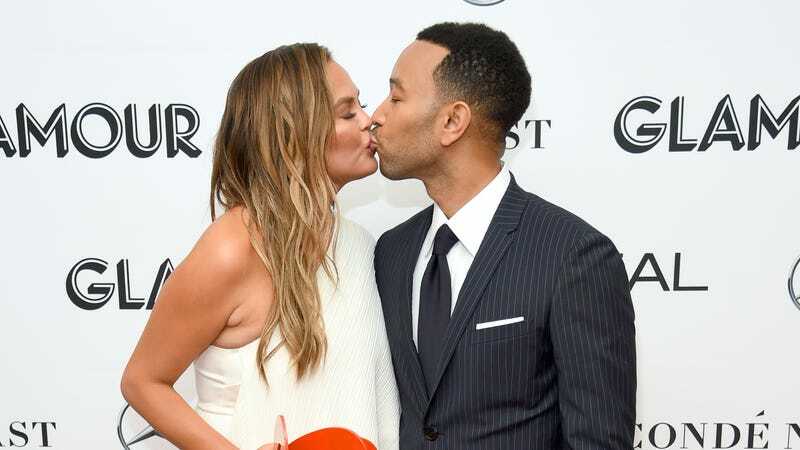 With Thanksgiving all but a distant, gluttonous memory, it’s finally Christmas season, and John Legend has been ready to celebrate since well before Halloween. (That’s when his yuletide album, A Legendary Christmas, dropped.) Today, he and Chrissy Teigen, America’s true first family, shared the trailer for their Xmas special of the same name. The teaser is a spin on the Family Matters opening theme song, and it’s a real honest-to-goodness joy. The whole family is here: John and Chrissy and babies Miles and Luna (she tosses the football the wrong way and messes up the shot, it’s adorable) and their French bulldog pups Paul and Penny. A few famous friends make an appearance, too, like Kim Kardashian, Akwafina, and Ben Schwartz. According to Today, Legend will perform a few Christmas classics from his holiday album during the special. The Legends will be joined by the aforementioned special guests and a few others, including “fairy god momager” Kris Jenner, Zach Galifianakis, Darren Criss, Meghan Trainor and Esperanza Spalding, for what I can only anticipate will be endearingly schmaltzy skits. In another teaser clip shared by Legend on Instagram, Stevie Wonder jokes that he drove himself to their home for a party. There’s a laugh track. Legend deadpans to the camera, “It’s a miracle.” Wonder agrees. It’s kinda dark and certainly funny. Expect nothing less from these two. A Legendary Christmas airs November 28 at 10 p.m./9 p.m. CT on NBC.